Those meddling kids—Fred, Daphne, Velma, Shaggy, and their dog, Scooby-Doo—get more ghost-debunking than they bargained for when faced with a fundamental change in their world. The apocalypse has happened. Old rules about logic no longer apply. 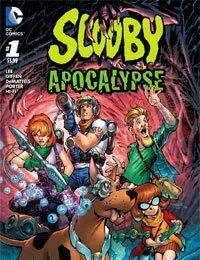 The creatures of the night are among us, and the crew of the Magical Mystery Machine has to fight to survive—because in the apocalyptic badlands of the near-future, the horrors are real!<br />This new monthly series takes Scooby and the gang to a whole new level and features character designs by comics superstar Jim Lee!